Microsoft rolls out feature updates for Windows 10 twice a year, often at quite glacial speeds. The Creators Update, released last Spring, was particularly slow and problematic. By the time its successor arrived, six months later, over a quarter of users (27.5 percent) still didn’t have it. The Fall Creators Update push was, in comparison, much smoother. Helped by the delay in getting the Spring 2018 Update out of the door, it managed to make its way on to more than 92 percent of Windows 10 PCs, making it the most installed Windows 10 update ever. Although the Spring 2018 Update was initially slow to roll out, Microsoft hasn’t wasted any time getting it on to as many Windows 10 PCs as possible. 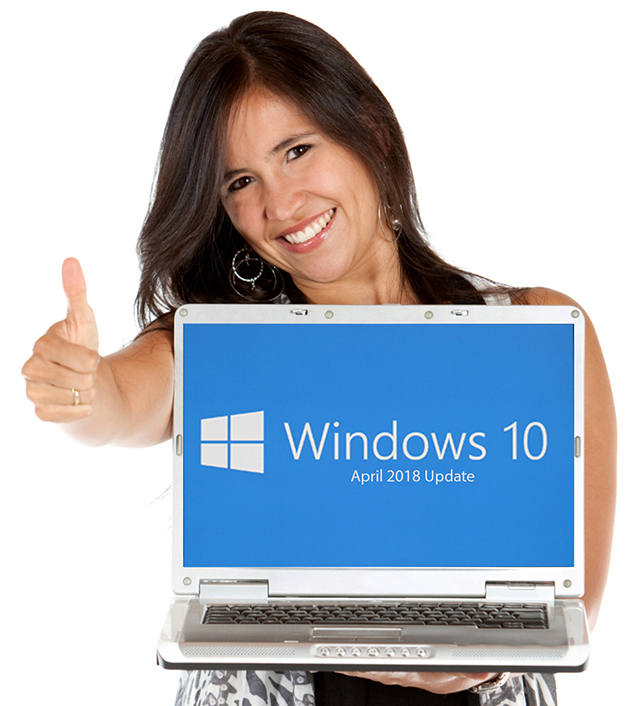 According to the latest figures from AdDuplex, the April 2018 Update (aka Windows 10 1803), has already claimed more than 50 percent of the market (50.1 percent, to be exact), making it by far the quickest spreading Windows 10 update to date. To put that in context, AdDuplex notes: "It took Fall Creators Update twice as long to cross the 50 percent line, and Creators Update was under 50 percent for about 3 months." The Fall Creators Update (1709) is now on 43.1 percent of machines, followed by the Creators Update (1703) on 2.9 percent, and the Anniversary Update (1607) on 2.8 percent. Windows 10 1511 has 0.7 percent share, and Windows 10 1507 0.4 percent.